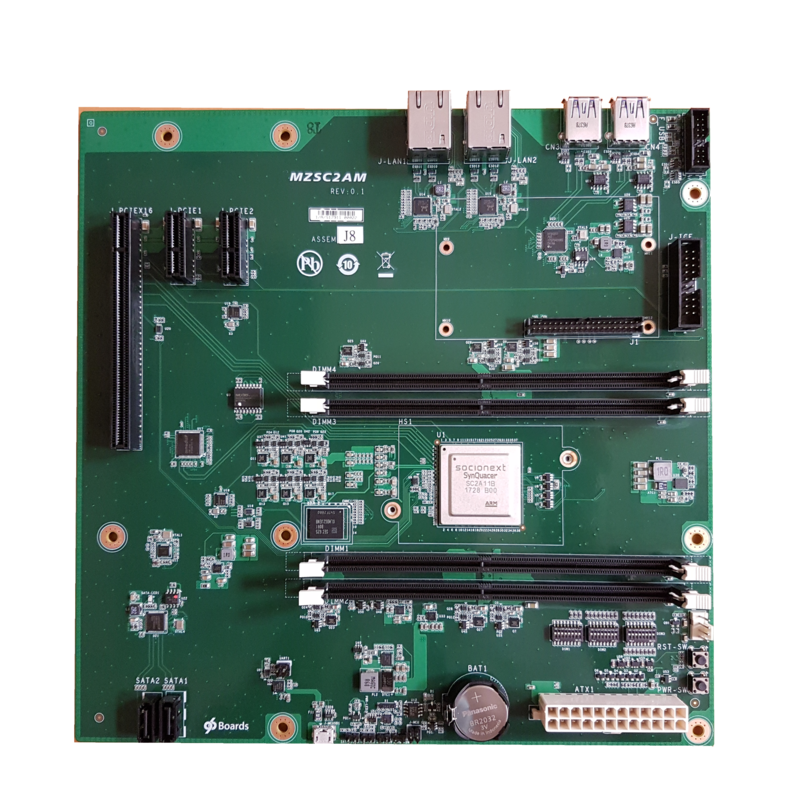 This 96Boards is compliant with Linaro’s 96Boards Enterprise Edition, and it contains one chip of Socionext developed high efficiency processor “SynQuacerTM” SC2A11. “SC2A11” integrates 24core of ARM Cortex-A53, this 96Boards provides development environment which is high efficiency with parallel processing and also supports native ARM v8 architecture. *: SynQuacer is a trademark of Socionext Inc.
Limited quantity!! While supplies lasts! 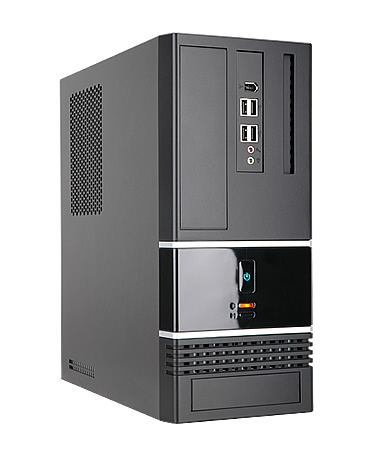 2 free 16GB memory with DDR4 ECC with purchase of Socionext’s “SC0FQAA-B” solution board!!!! ※Purchasers will be given a free 32GB memory with DDR4 ECC. Insert 2 16GB memory into DIMM2 and DIMM4 and use it as 32GB memory. In this case, the 4GB memory that was originally included cannot be used be used together. The product contains the following 8 components. (*1) Please refer to the following “NOTICE” about Mother Board. (*2) ATX power cord is Plug Type A(http://www.iec.ch/worldplugs/typeA.htm). It is scheduled to obtain CE/FCC certification for Mother Board by the end of ’18/Feb. It may affects the delivery schedule depends on conditions. Regarding the certification other than Mother Board, please visit each company’s web site. It does not guarantee the operation of all PCIe devices. The devices listed in 2.2 and 2.3 are checked for operation. There are three usage restrictions for PCIe I/F on the board. 2-1-1. 32bit or less data width is supported for Memory access. 2-1-2. The IO access transaction to PCIe supports only transactions of 32bit aligned and 32bit data size. 2-1-3. Power Management function is not supported. In case of using Graphic Card, the following Patch needs to be applied. With applying the above Patch, the following Graphic Card are checked for operation. The following SSD(NVMe) is checked for operation through M.2 connector.